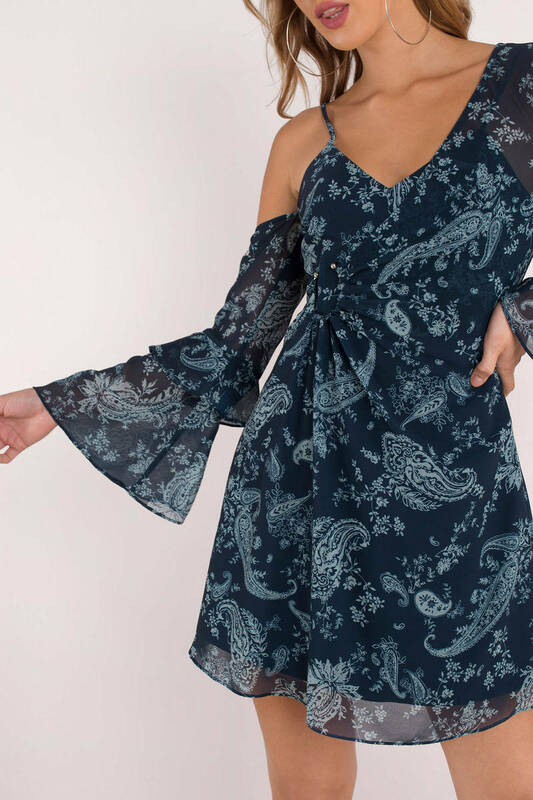 Check out Tobi's Go With It Mini Dress Paisley print is always a keeper. 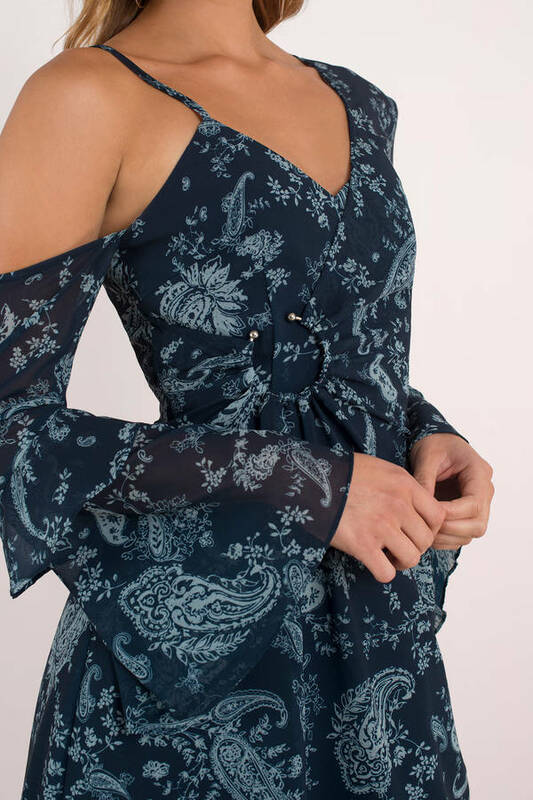 Keepsake's Navy Go With It Mini Dress is an asymmetrical long sleeve dress with one cold shoulder cut out and a gathered detail with a ring at the side waist for a flattering fit. We love this chiffon dress with booties for daytime dates this fall. Paisley print is always a keeper. 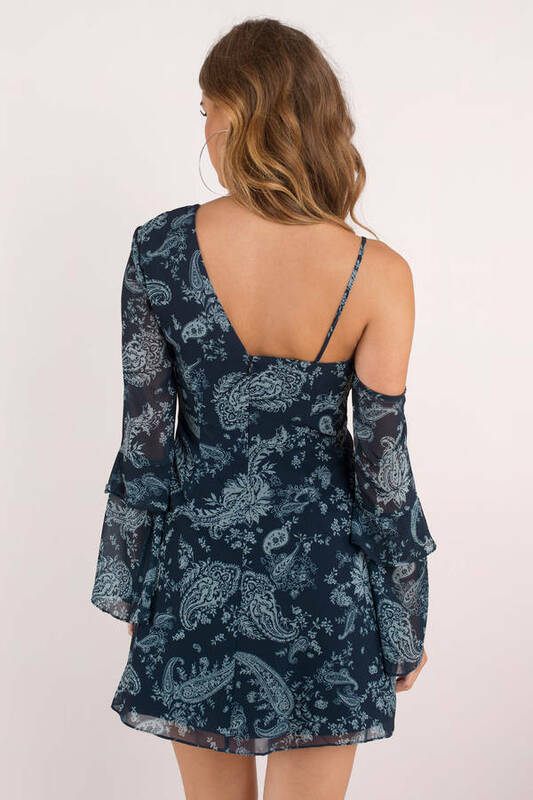 Keepsake's Navy Go With It Mini Dress is an asymmetrical long sleeve dress with one cold shoulder cut out and a gathered detail with a ring at the side waist for a flattering fit. We love this chiffon dress with booties for daytime dates this fall.